The former state-owned Matanuska Maid bottling plant in Palmer might be done with milk, but it's likely to be bottling something else soon. Matanuska Brewing Co. LLC plans to finish the purchase of the 10,000-square-foot building this week, according to co-owner Matt Tomter. 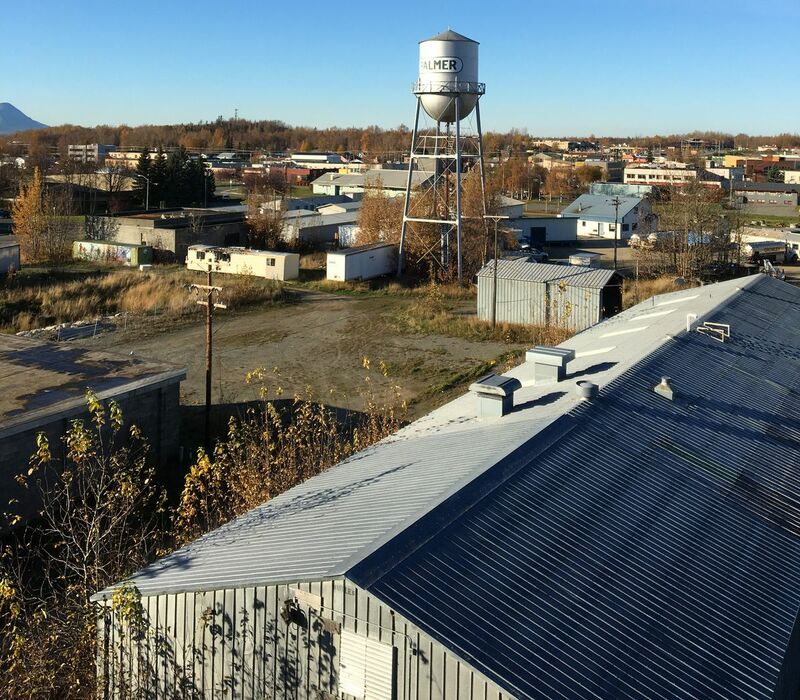 The sale of the facility for $825,000 was approved by the Alaska Board of Agriculture and Conservation last year. Tomter said owners plan to invest $4 million in the downtown Palmer facility. The building was owned by the state's agricultural revolving loan fund, which received the building after the Mat Maid dairy shut its doors in 2007. Loan officer Amanda Swanson said it had been available for sale since 2009. She said a previous offer to purchase the building in 2013 ultimately fell through. Despite its bottling center past, Tomter said the building is completely empty. He said the brewery will focus on keg and canning production lines. Tomter is also the owner of Palmer City Alehouse and Eagle River Alehouse. But he said the separate brewing venture will be focused on wholesale production. He said there are plans to have a small tasting room on site. He said the brewery plans to make approximately 20,000 barrels a year. That would put it ahead of Denali Brewing Co. in Talkeetna, which just surpassed 10,000 barrels this year, but well behind Alaskan Brewing Co. of Juneau, the state's largest craft brewery, which produces 160,000 barrels a year. Tomter said the amount of beer the company plans to produce is ambitious, but said he already has a buyer. Tomter declined to say who, citing business negotiations. And despite the ups and downs of the Alaska dairy industry, which has struggled to build a market in the state, Tomter said he has no concerns about doing business in the building. He noted the dairy operated for more than 70 years, longer than any brewery has been around. "OK, it failed, it went away, the creamery's not there any more," he said in a phone interview Friday. "But to be able to come in and put a new agriculture product in it, in the town of Palmer, which is built around agriculture, it's exciting." Tomter said the sale is set to close Friday. He said it will be about nine months until beer is brewed.